Would you like to save time and energy, and prevent parent & teacher burnout? Would you like four research-based secrets to build kids' self-calming skills, social-emotional skills, learning skills, and EQAO test scores? Would you like fun & inspiring motivational games, kits, videos webinars and/or live presentations for parents & teachers? If so, please share this site, watch the video, then choose a helpful resource below. Thanks! YOU make a difference. How many hours per week do you spend on social-emotional issues (behavior management, motivating students, dealing with teacher burnout, aggression, bullying, and conflicts amongst students, teachers, parents and administrators)? According to recent research, the average teacher spends over 28 hours per week (over 1,200 hours per year) on social-emotional issues. In a recent survey on teacher burnout, over 92% of teachers reported that they often feel exhausted and overwhelmed. ​Most teachers report that they need more support, training and resources to deal with these issues. ​Get instant access to an e-book PDF and video: Super Peace Monkeys Superstar Read-Along Rap-Chant e-Book, Plus Superstar Speedlearning video (similar to the video above, but with a simple Super Peace Monkeys image and no explanation for adults). Suitable for social-emotional skills-building at ALL levels. Challenging for reading levels JK to grade three. Beginning readers can learn to follow the chant with their fingers, memorize words quickly, and build confidence and self-image as "readers". When children see themselves as "readers", they learn quickly. Free bonus today: the e-book includes a self-illustrating book ("you're the artist") to improve literacy, creativity and confidence. Children can draw illustrations for each page of the book. Classes can collaborate and have each child illustrate 1-2 pages. Collate the illustrations into a cooperative book. Copy and collate the pages to create class books for each child, and you will win Superstar Teacher status! Thanks! YOU make a difference. ​Get instant access to Super Peace Monkeys Paper Plate Puppet PDF with written instructions and printable cut-out image. Suitable for ages 5-105 (5-page PDF). 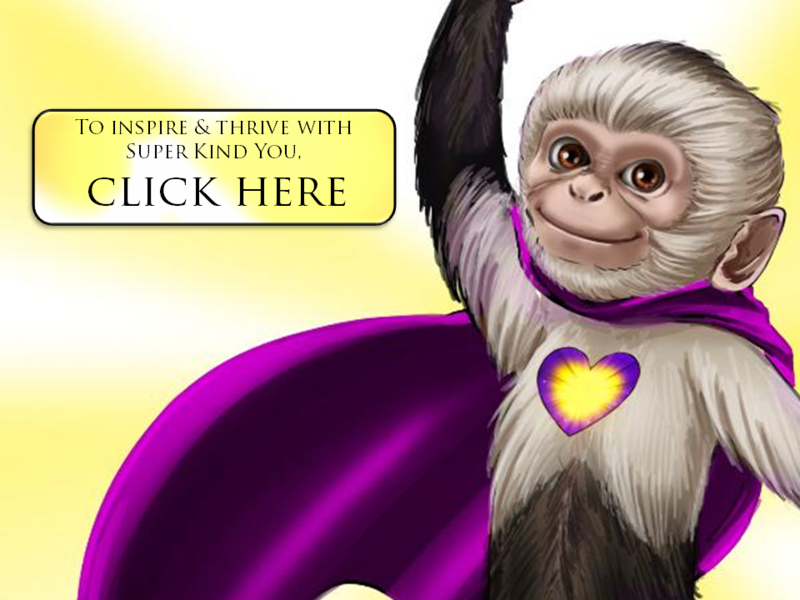 Free bonus today: get the Super Peace Monkeys "You are Superstars" Social-emotional skills Chant Video (similar to the video above, but with a simple Super Peace Monkeys image and no explanation for adults). Thanks! YOU make a difference. ​Enjoy a laser-focused 15-minute phone consultation via phone or skype that is guaranteed to solve your biggest social-emotional leadership or parenting challenge. Sharon Love, M.Ed. (Psychology) will listen, empathize, and offer recommendations based on over 30 years of psycho-educational research and experience. Your satisfaction is guaranteed! If you implement her recommendations and they don’t solve the issues, you get another free consultation. If you implement the second set of recommendations and they don’t solve the issue, you get another free consultation or you get your money back. Thanks! YOU make a difference.